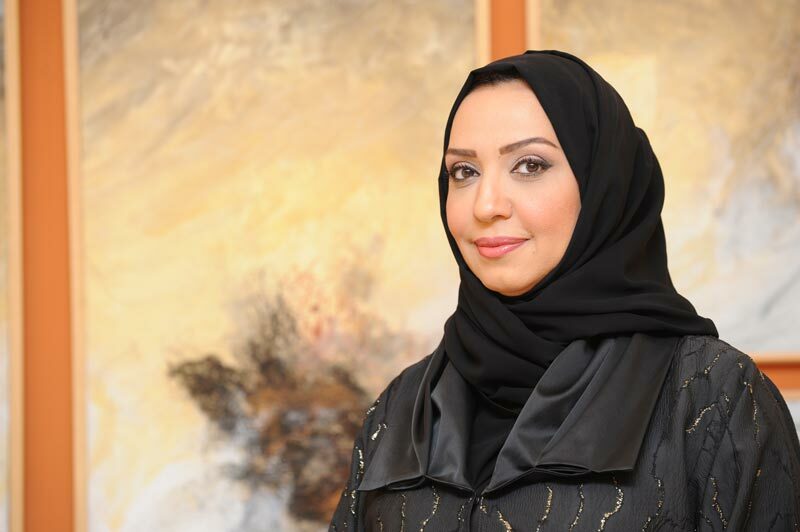 The art of Qatari artist Amal Al Aathem dwells into the soul of women, an echo of their spiritual dimensions. She uses her brush to dig deep into cultural dilemmas, expressing them through colors and lines, stamping her artistic identity in all her work. Amal’s installations and sculptures are an abstract melody of the same theme. Bold, swaying figures, interwoven to create provoking and whispering thoughts. Amal initiated her creative journey in 1989 at the High Institute of Dramatic art in Kuwait, after which she graduated from Qatar University in 1995 with a Bachelor Degree in Arts Education from Qatar University. She held her first private exhibition in Bahrain in 2000. Since then her work has been exhibited locally and internationally and has won several awards.